Trucking - Camacho Brokers, Inc.
All our trucks are equipped with GPS tracking and monitoring systems to give you a real-time update of your shipment's location. This provides you peace of mind that your merchandise is safe, secure and will be delivered on time. We are a U.S. Customs bonded carrier. We have truck yards on both sides of the U.S. - Mexico border. Both yards are equipped with 24 hour surveillance by employing security cameras and personnel. 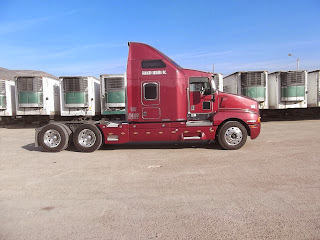 We specialize in temperature controlled cargo from frozen to fresh produce. All our refrigerated units are CARB compliant. We offer 27', 48' and 53' trailers with Air-Ride suspension, and roll-up or swing doors. 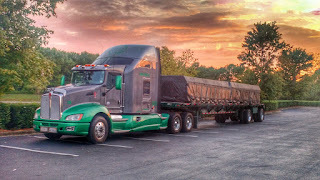 We offer 27' sets of doubles, 48', and 53' flat beds, step decks and curtain side vans with Air Ride suspension. 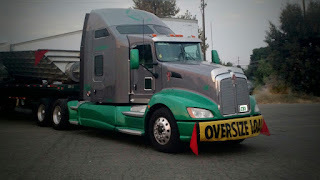 We offer 27' sets of doubles, 45', 48' and 53' Air Ride suspension and logistic posts within. We have 16 tire expando lowboy, 9 axle lowboy, 9 axle steerable lowboy and double drop trailers to accommodate large, heavy and/or over-sized loads. 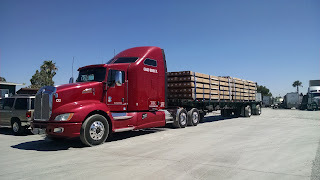 We offer bobtail and straight trucks for smaller loads. Transportes Camacho is our sister company in Mexico enabling us to offer you door to door service between the U.S. and Mexico without your load leaving our responsibility and care, eliminating the need to transfer loads, in most cases. Cactus Truck Sales offers a wide range of equipment. Border Towing offers heavy haul towing, able to rescue broken down trucks and if necessary deliver their cargo. We also offer mechanic shop services to repair your vehicle.